Handmade to order, please allow up to 5 days. Handmade to order by Vintage Style Me! 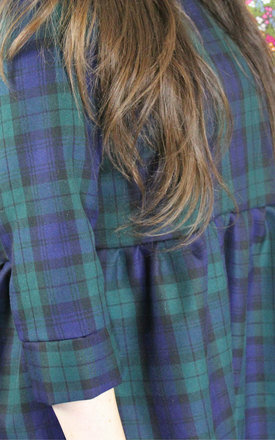 Navy tartan smock dress cut in a slight oversized shape. 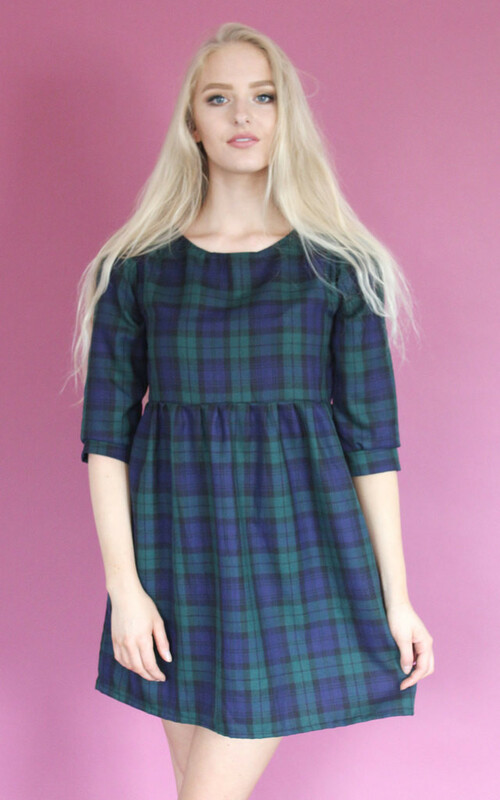 Features a high gathered waist, cuffed mid length sleeves and a round neck line. Slips on over the head for ease. Also available in red.